In July 2012, with funding from the Ontario Trillium Foundation, TCAT launched the Complete Streets for Canada policy and design hub website. The website features research, best practice policy language, and design guidance for municipalities interested in adopting Complete Streets policies and guidelines. A Complete Street is designed for all ages, abilities, and modes of travel. 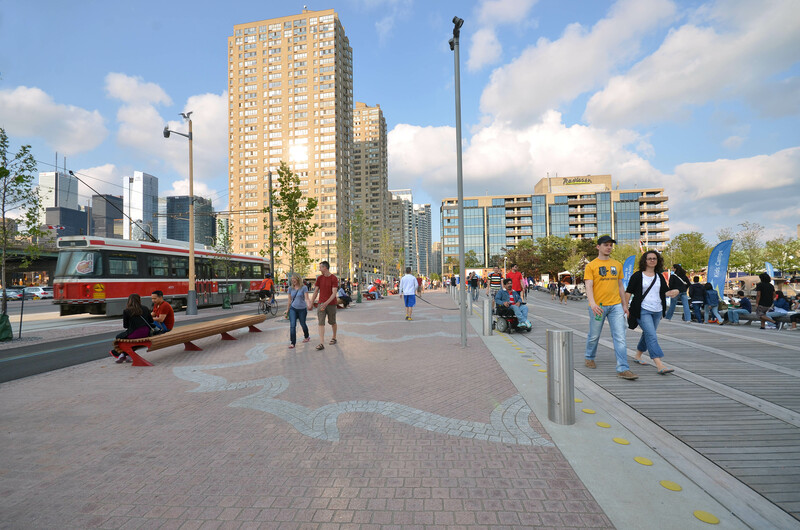 On Complete Streets, safe and comfortable access for pedestrians, bicycles, transit users and people with disabilities is not an afterthought, but an integral planning feature. The link between Complete Streets and public health is well documented. Jurisdictions across North America already include Complete Streets policies in their suite of preventative health strategies. Complete Streets also promote livability. Human-scale design treatments such as street furniture, trees and wide pedestrian rights-of-way animate our public realm and encourage people to linger.